If you have ever heard anything about bed bugs before, you may find yourself panicking when you see the first signs of bed bugs in your home. If this describes you, then you are not alone. Even some trained exterminators have found themselves reaching for toxic, intensive insecticides that often do more harm than good. At Northwest K9 Bed Bug Detectives, however, we take a different approach to bed bug treatment. Our goal is to rid your home of bed bugs, while protecting your pets and your family. We have found that the best way to do this is with bed bug heat treatment. Bed bug heat treatment is a superior option for so many reasons. Insecticide only works when it comes in contact with bed bugs, but these bugs are even more elusive than the Pink Panther, so they can be increasingly difficult to spot and kill. Heat works because it can all kill bed bugs, no matter where they are hiding. The other reason why heat trumps insecticide is that over the years modern bed bugs have started to become resistant to insecticides, so they don’t work as well. Heat is an entirely non-toxic treatment that has what it takes to safely rid bed bugs from your home. When you spot a bed bug in your home, don’t make the mistake of immediately reaching for the poisonous insecticide. 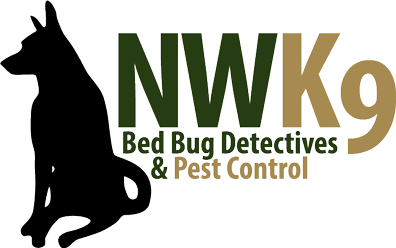 Find a solution that you can feel good about by turning to the Northwest K9 Bed Bug Detectives for bed bug heat treatment. Contact us today to get started.